-I want to start by thanking the many doctors who have been presenting, attending and supporting the Ehlers-Danlos community throughout the years! At this year’s conference, Dr’s Patrick Agnew, Peter Byers, Pradeep Chopra, Heidi Collins, Claire Francomano, Rodney Grahame, Fraser Henderson, Howard Levy, Anne Maitland, John Mitakides and Alan Pocinki presented and answered questions from more than 560+ attendees. 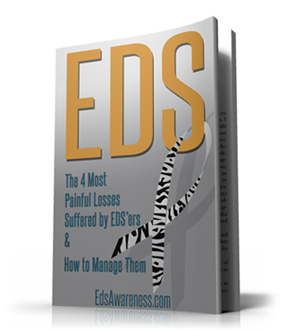 As most of you know, there are a few of the presentations available on the EDS Society site and more to come. 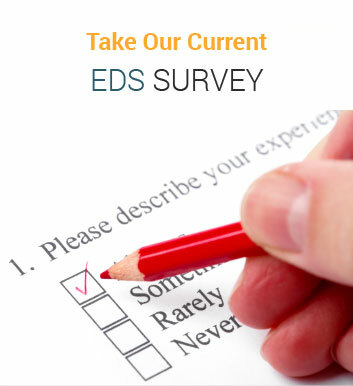 Also, as many of you know, many of the doctors listed above have past presentation from previous conferences available on the EDS Society site. 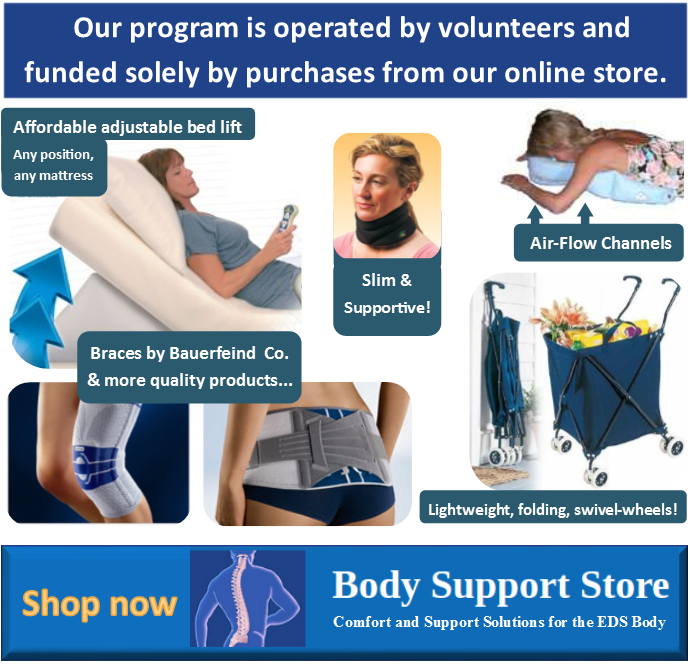 Plus, through the work of EDS Awareness at Chronic Pain Partners, you can watch many of the doctors above and many, many more not only present but answer questions through their live webinar presentations. Along with the doctors who spoke, there were a number of great medical specialists and advocates who spoke including my wife Kathleen and I on social security, medical insurance and medical advocacy. (We also provided free consultations throughout the conference at our table as we do at every conference we attend.) Some of the medical specialists and advocates have also presented and attended several EDNF and EDS Society conferences. (It was Kathleen and my 5th EDNF/EDS Society conference.) I do not want to leave anyone out or be inaccurate about how many times they have attended, so instead I will highlight some of the top workshops that many of the attendees I spoke to told me about. (Due to the volume and need for support at our table, Kathleen and I were not able to attend many of the presentations so I relied on some of our EDS veterans/colleagues to bring back their feedback. Chronic Pain Partners introduced the first Online EDS Physician CME Education program at the conference. -Professor Grahame discussed the NEW criteria and emphasized to the attendees that is still a work in progress and will be updated year after year. He wanted everyone to understand that the working group is aware of the concern of the EDS community and they will work together on a global effort to sure up the criteria. He also gave examples of the areas of the criteria that have definitely improved including the individual classifications of EDS. -There was some good ideas shared on how to start a group and raising awareness among many levels of our society, including our own families and friends, as well as within the medical community. We all know the importance of these areas in our lives. Note: Shani also gave a presentation on: ‘Create more effective doctor appointments: more than 100 Tips you can start using today! Unfortunately Shani and our social security presentation were on the last day and in the last time slot so I wasn’t able to talk to my friends/colleagues who had attended it. I am sure it was very helpful. -Several people who attended the presentation said that they learned quite a lot from the presentation and were look forward to trying some of the many varieties of medical cannabis forms in their state. For those who live in states where it is not legal, they were motivated to do whatever they could to make it legal and help themselves and/or their loved ones in reducing their daily, chronic pain. -As we all know, the sword that is wielded in the medical community toward EDS patients with physical issues and challenges that are interpreted as mainly mental and anxiety driven have cut too deep into our community. According to several who attended this presentation, they were pleased with the balance that was drawn between the physical and the mental states. As we all know, dealing with being in a circle of pain, fatigue and all the other joys EDS and its related disorders brings, it-of course-is going to take a toll on the mind. -This presentation was well received-per the # of positive remarks. A few of my friends/colleagues use multiple methods (and have tried multiple methods) of exercise, physical therapy, mindfulness and other methods to improve their quality of life. They learned more about Pilates and how it can benefit the EDS body if done correctly and with proper caution. -This session was done during the Lunch and Plenary Session on Saturday. Many who attended had high praise for the topic and presentation. (mainly due to the technique and suggestions) This session was right before our social security presentation (and Shani’s talk on doctor tips) so we were not able to attend. –In addition to all that I described above, the topics presented by the doctors included: , autonomic dysfunction, chronic pain, craniocervical Instability, diet and supplements, EDS classifications/types, fatigue, foot and ankle issues, GI issues, headaches, hEDS and HSD, management, mast cell, orthopedics, TMJ and vEDS. I hope my recap gave you a decent glimpse into what went on at this year’s conference in Las Vegas.-J.R.